Honey do visit APGD Saturday September 13 as we celebrate National Honey Month with a Sip + Stroll. In addition to Redlight Redlight curated wine and craft beer selections, we’ll also have mead, sangria made with Fresh 24’s peaches and apples (freshly picked from Wilkies Orchard in North Carolina), and finish it off with samples of Lineage Coffee’s honey sweetened cold brew coffee! As an added treat, when our stroll closes, feel free to head over to Winter Park Beer Co. at 5 pm for free samples of their Honey Brew. Don’t miss our interactive stops with fun prizes; taste test a honey flight courtesy of St. Johns Honey Company; try our spelling bee; sample light bites, including handmade French nougat at Whisk and Bowl; superior libations and great shopping with this event. Stops include Bikes, Beans and Bordeaux Cafe, Dear Prudence, O’Stromboli Gourmet Italian Eatery, P is for Pie, Park Ave CDs, Warrior One Power Yoga, Whisk and Bowl and more! Advance General Admission tickets $15, $12.50 for APGD members, and $20 day of if any are still available. Not an APGD member yet? It’s never too late to join. Join here and get discounts year round to all our ticketed events, plus Family Memberships receive two fun, free wine glasses with APGD’s Little Finch logo on them. 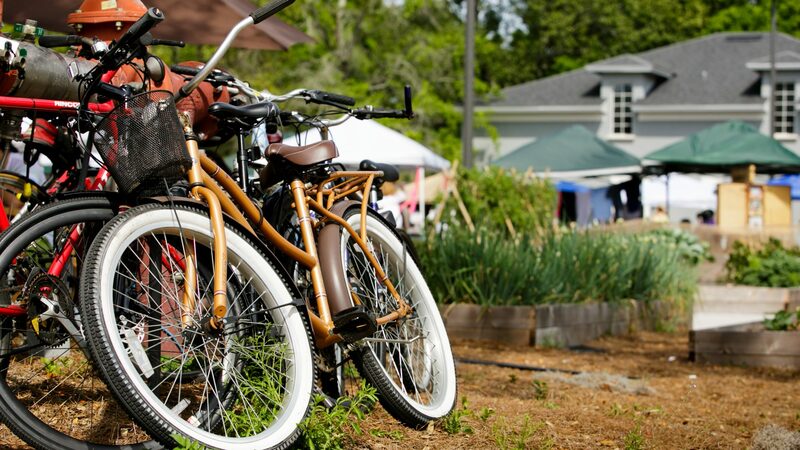 All donations support the Audubon Park Garden District’s mission to create the best in community, right here in Central Florida. Let’s Bee Friends Sip + Stroll starts outside Redlight Redlight, 2810 Corrine Drive, Orlando, FL 32803.